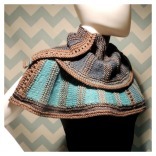 Neapolitan Scratch N Sniff – a beautiful crochet poncho for anyone! This post may contain affiliate links. 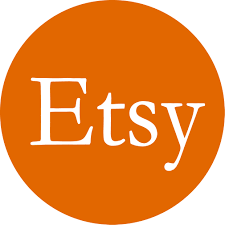 If you purchase something from one of these links I will be compensated. Thank you. 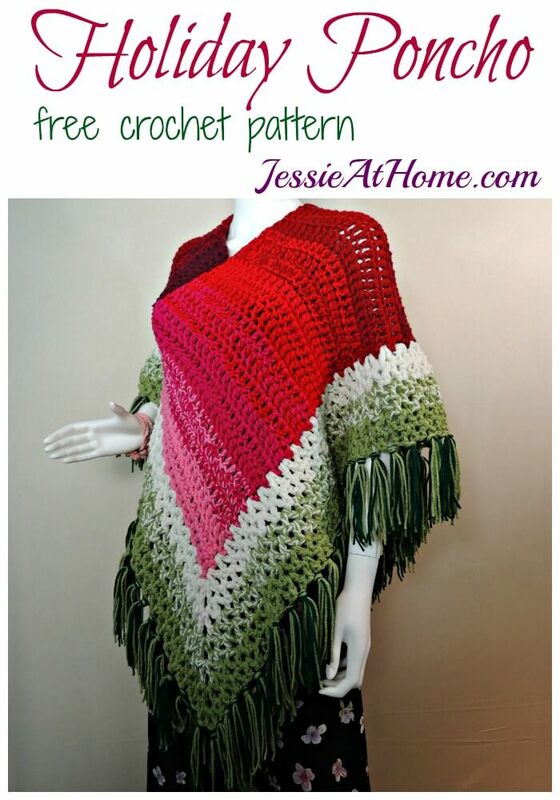 The Neapolitan Scratch N Sniff poncho is a lovely, comfy crochet poncho that will make you feel beautiful and cozy. 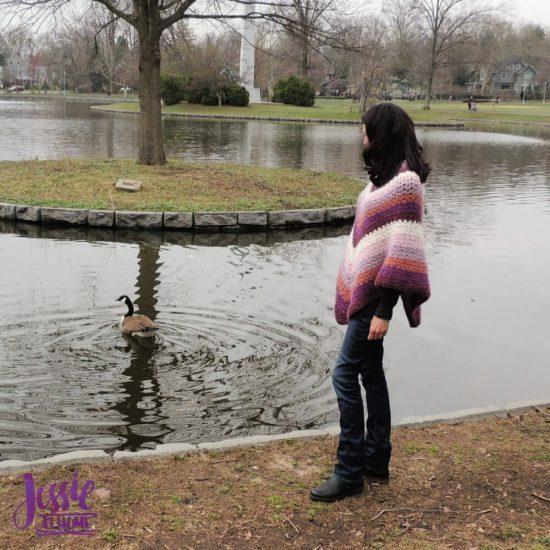 I made this poncho at my local knit and crochet group, and several of the wonderful ladies there modeled the finished poncho for me. Every one of them commented on how soft it was, the Red Heart Hygge yarn is just wonderful. 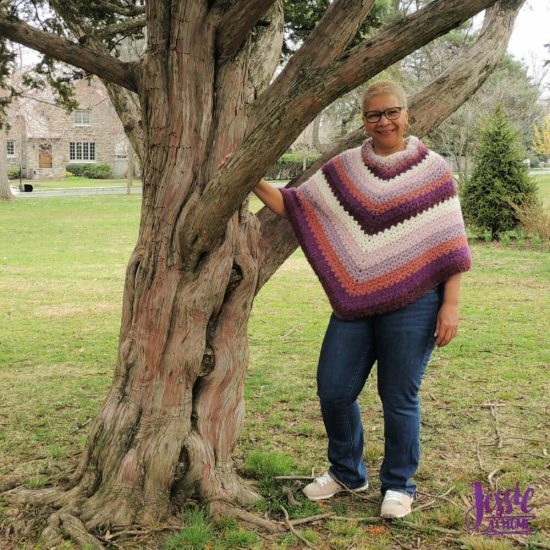 My friend Rachel (one of my stunning models) named this poncho because it looks like a scratch n sniff sticker for Neapolitan ice cream. I hope you enjoy this pattern as much as my friends and I do! The yarn for this design was provided by Red Heart. All opinions are my own. This is Rachel. She named the Neapolitan Scratch N Sniff poncho. This model is Leslie. She is super fun to hang out with! v-stitch (vst) – (Dc, ch 1, dc) all in the same st. 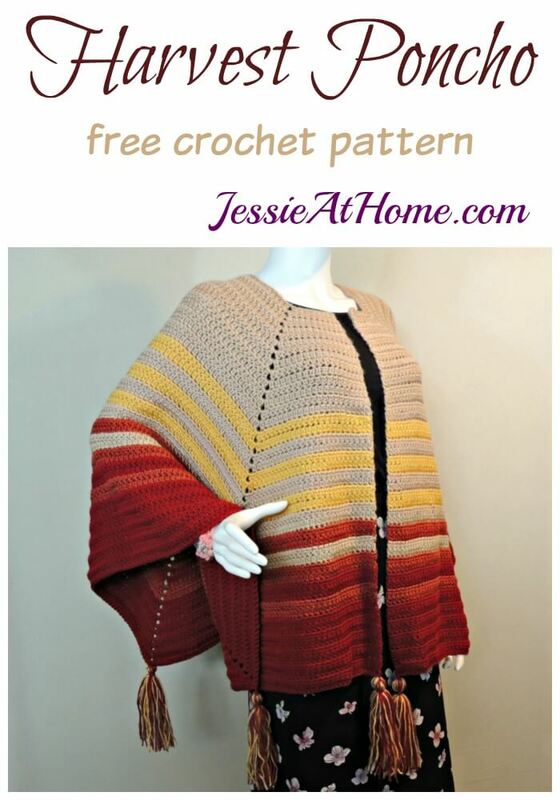 This poncho can easily be made longer or shorter by making more or less rounds. This will effect the color pattern and the amount of yarn needed. To shorten, try making 2 rnds of each color and then 3 rnds of each color. 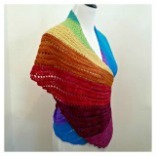 To lengthen, try making as written then adding 1 more rnd of each color. 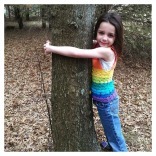 Here we have Jo Anna. She’s super nice, and is always frogging her projects! Ch 66 with Color A. Wear or give and enjoy! Last but not least we have Christine. She’s new to the group and a bit quite, but I can tell she’s going to fit in with us just fine. 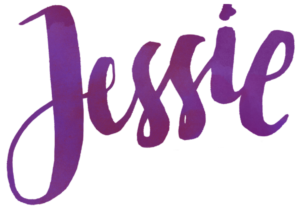 If you enjoy what you have found here at JessieAtHome, please like my Facebook page to get all the updates on new tutorials, other posts, sales, and coming events. 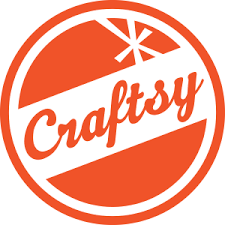 If you have any questions or concerns, want to share pictures of your work, or just want to chat with Jessie and other crafty individuals, than join my Facebook group. 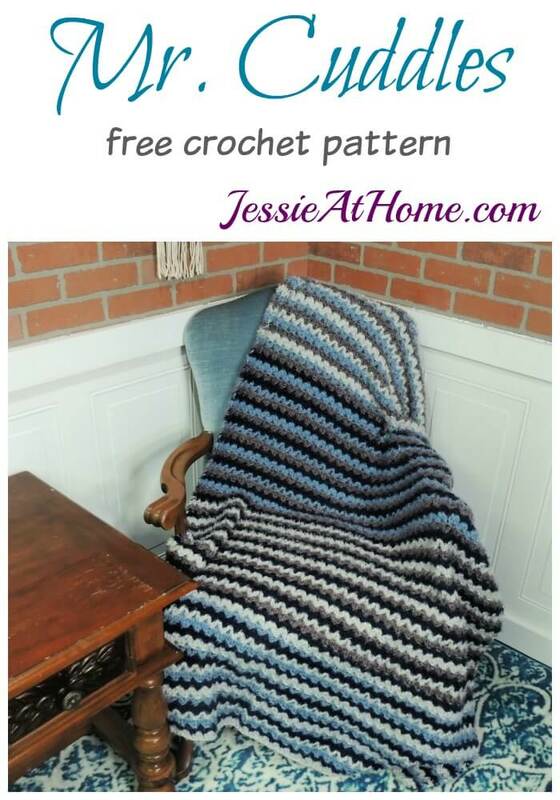 If you enjoy this free crochet pattern, please consider buying some of your supplies from one of these affiliate links. Thank you. 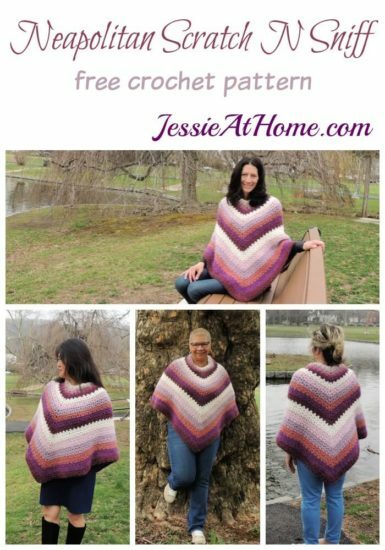 ©Copyright 2019 Jessie Rayot / Jessie At Home All my videos, patterns, charts, photos and posts are my own work. Do not copy them in any way. If you want to share this information with someone, share the link to this post. 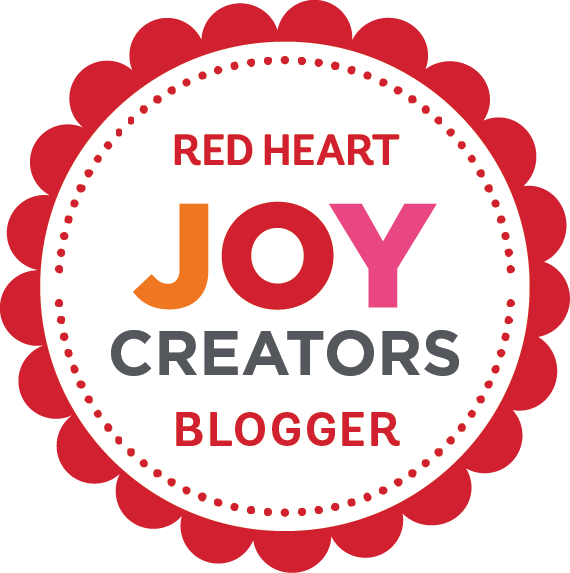 If you want to share on your own blog / website, then you may use the first photo in this post and link back to this post. You may not give away printed copies of this post. Thank you. 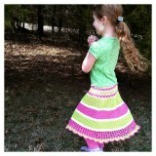 If you liked this pattern, take a look at these! « On the Wall – Deck out your walls with crochet! Search Amazon here - Affiliate links.